After a recent visit to the Doctor, I was ordered to have a CAT scan done of my head to make sure that all the pistons in my head were firing off correctly. Once the exam was completed, the Doctor told me that the results were good and that everything was normal inside my head. The Doctor then passed the sheet with the results so that I could see myself, since I always ask a billion questions. Yes, we live in a technological era that can quickly tell us if our brains are normal or not. Or, we live in a technological era that allows CAT scans to resemble the function of a Magic 8 Ball. So take that to all of you who thought that Sartaj was not normal. 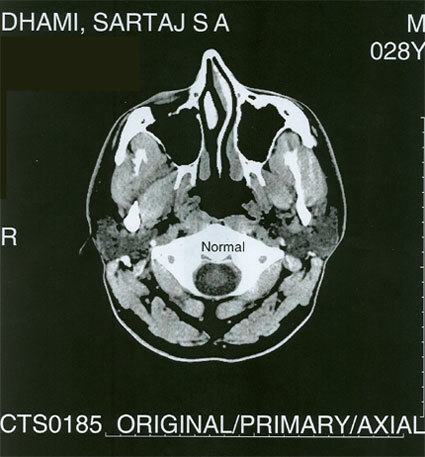 This CAT scan proves that I am, so take that!